The first-ever Social Media Week in Paris started with lots of splendour – in a magnificent reception room of the historic Mairie du IVe building where almost 200 people gathered to kick off a week of conversations and debates about how social media are changing their world. And even though the format of this event was more in line with its conservative surroundings than its cutting-edge theme (a panel of experts behind the table discussing how local authorities are making use of digital media to engage with their constituents – without actually engaging the audience who gathered in the room to listen), it was a good start. Over the next 4 days in Paris I was to see many more panel discussions – in my opinion, too many. But I also heard about lots of interesting ideas, though-provoking cases and innovative practices – and had some very inspiring conversations with fellow attendees. 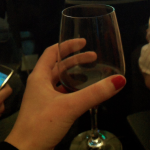 In numbers Social Media Week Paris consisted of close to 30 events with 122 speakers in 20 venues – which attracted 1800 participants who drank 182 bottles of wine (!) and sent almost 6000 tweets. Significantly smaller than its London or New York counterparts, yet overall quite a successful debut – and still big enough to make it impossible for one person to participate in all conferences of their choice! With almost 30 events in the programme there were many fascinating and timely topics, but it would take too long to discuss them all here. There is one thing, however, that I think deserves a mention and big kudos to organisers: the inclusion of quite numerous events aimed at specific industries, concentrating on practical applications of social media tools in their context and showcasing the concrete ways in which they benefit businesses across different sectors. There were several conferences like this, each discussing how social media are being adapted by a different industry (e.g. wine, real estate, HR recruitment, gastronomy, travel and hotel industry, medicine). This meant they did not only attract the usual crowd of social media enthusiasts and professionals, but also reached out to those who are not part of the usual ‘in’ crowd attending these type of gatherings – the ‘ordinary’ people who don’t buy into the hype and simply want to learn how to apply social media as tools to add value to their work and business, choosing only what is practical and relevant. Such as for example accountants presenting Pacioli, a professional social network which seems to be a success among Francophone accountants –it was great to see cases of how social media improves business presented from beyond the social media practitioners’ perspective. As for what could have been better, I mentioned this already so will not dwell, but sometimes the way the fascinating content and useful knowledge was delivered really clashed for me. With too many panels, too many talking heads, too many theories, and too little audience interaction and participation – it tended to be very much one-way communications, not exactly what social media is all about. It would be nice to see more workshops and practical-type events – to see Social Media Week events less as an academic exercise and more as collaborative learning in practice. The Q&A sessions made it clear that many individuals in the audience were practitioners with valuable experience and it would be great to allow them more opportunities to share – to make the events a little more about the ‘social’ and just a little less about the ‘media’. 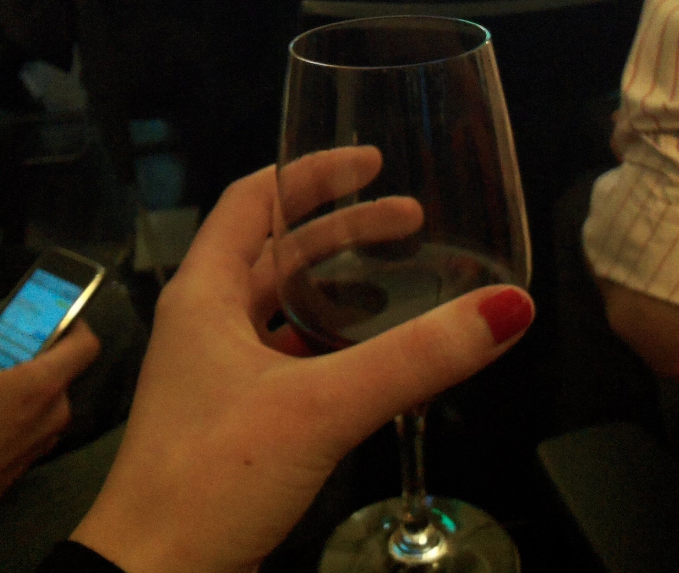 Below is a pick of five events from last week’s Social Media Week Paris that I think deserve a mention – each one for a very different reason. Hackivists in the Bully states: Understanding the role of media in Tunisia and Egypt? Fascinating accounts of the role of social media in the events in Tunisia and Egypt, delivered with great insight (and humour!) by the panel of experts, coincided with the time of Mubarak’s speech which was watched by everyone in atmosphere of great anticipation after the conference ended. You can watch the recording of the session (in English) here. La curation, avenir du web? The conference on content curation as the potential future of the web was very well-attended, opinionated, and generated lots of conversation in the French blogosphere afterwards. Here is a look at some of the write-ups on (how appropriately!) Scoop.it. Le web, sauvera-t-il la planete? There was a lot of anticipation before the week’s closing debate with such an ambitious topic – whether the internet will save the planet. Unfortunately, it rather disappointed as yet another panel discussion with the audience not able to participate until the very end… and when they finally did, there was so much evident passion and practical orientation towards using social media as tools to help change the world behind those young people’s very pertinent questions. I would have loved to hear more of them, and not just ‘the experts’. As part of Social Media Week Paris TCS Digital World organised the first techMAP event in Paris – which turned out to be quite a success! A good turn-out, engaged group of participants, inspiring presenters talking about their personal experiences in social media, some good local coverage – and a great satisfaction of organising a successful Social Media Week event, which you can see in that over-excited tweet of mine! PS. And for those who would like to read more about the particular events, you can find summaries – in French – of all events on the official Social Media Week Paris blog here .